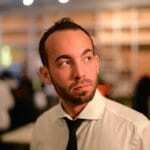 Samuel is an SEO consultant based in Montreal, Canada (oui, in English and French!) who started his digital journey in 1999 when he built his first Website. With a background in frontend development, Sam has been doing SEO since 2007. When not serving clients, you’ll find Samuel at marketing meetups and events – always be learning – or traveling wherever there’ sun, wine, and good wifi. If you hire Samuel, you will find personal service from the strategy to the technical recommendations and implementation, building a foundation to set you up for long-term success.